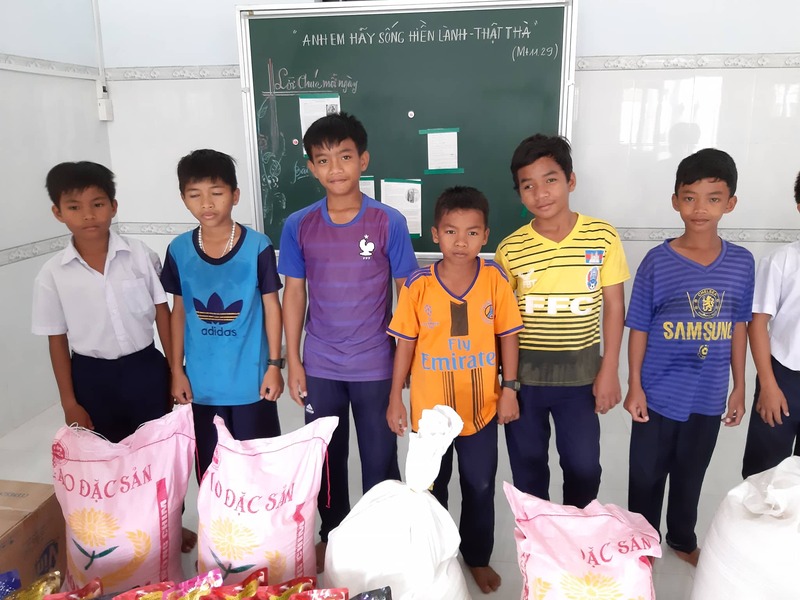 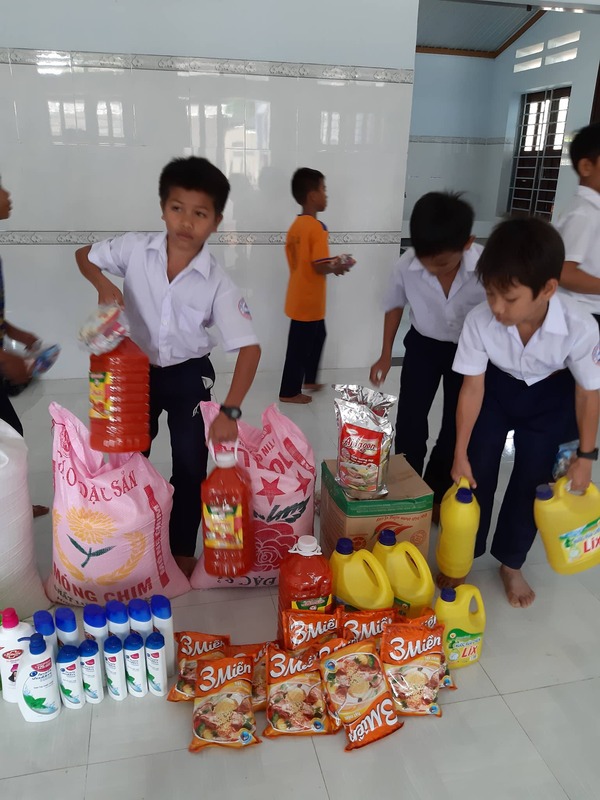 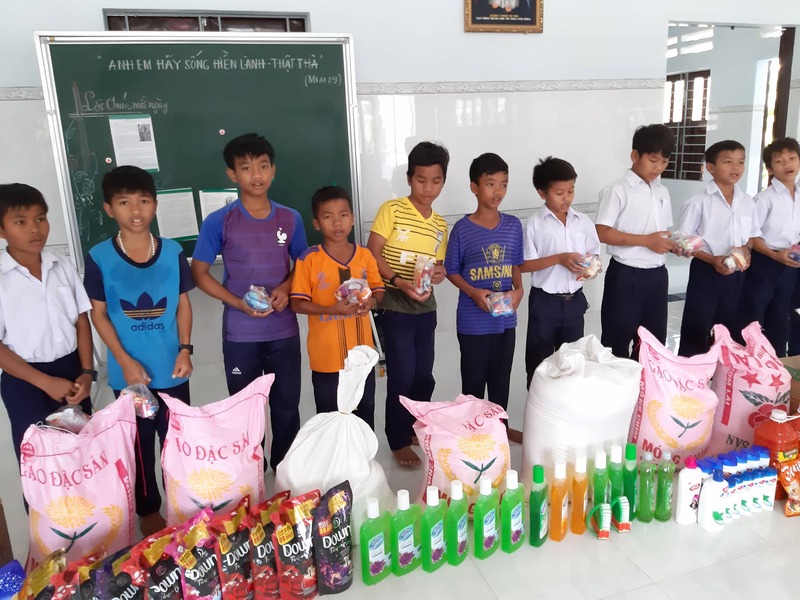 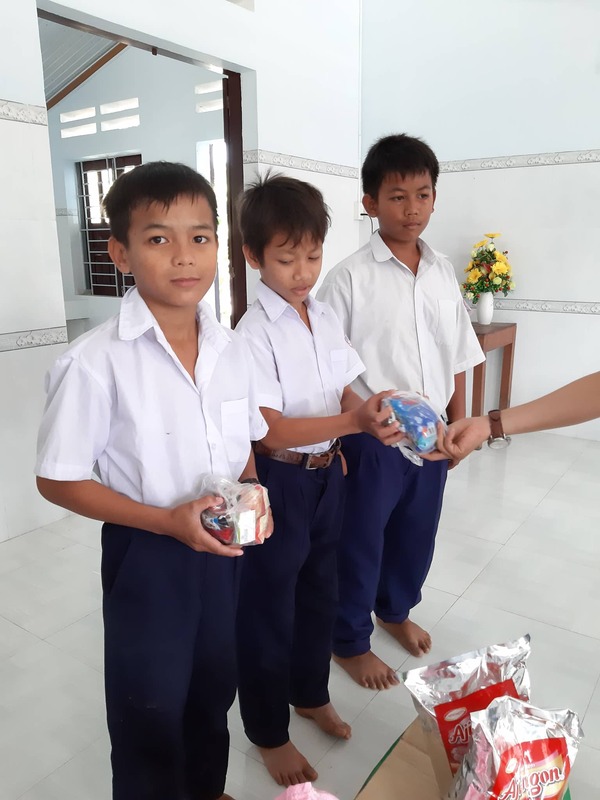 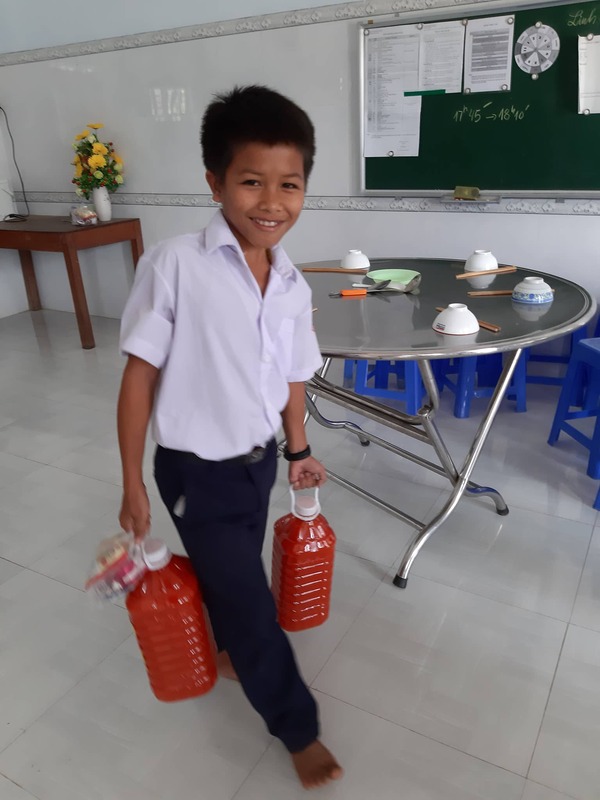 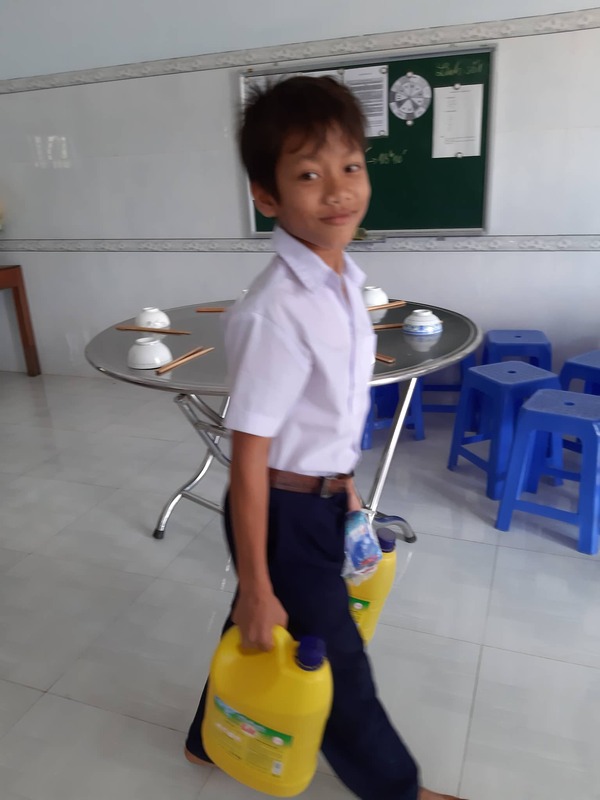 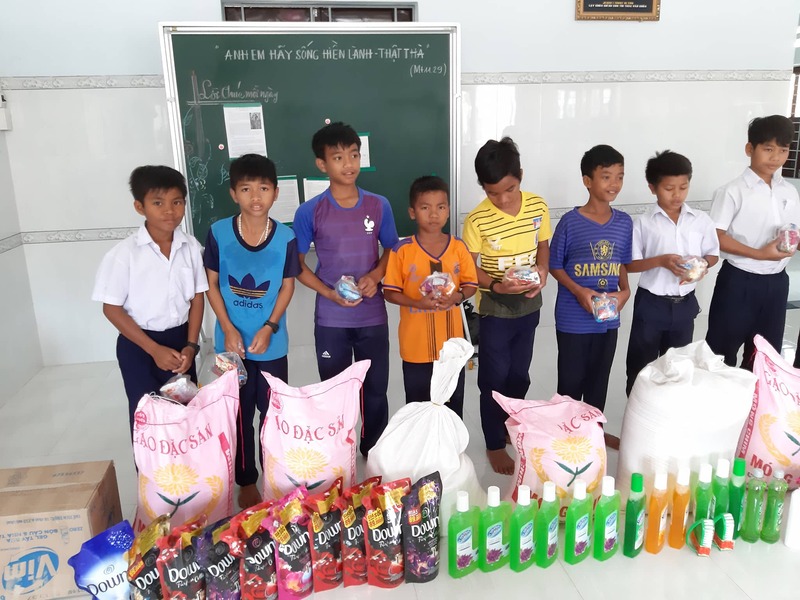 In late February 2019 we visited the Suoi Dau Charity Home with lots of essential supplies. 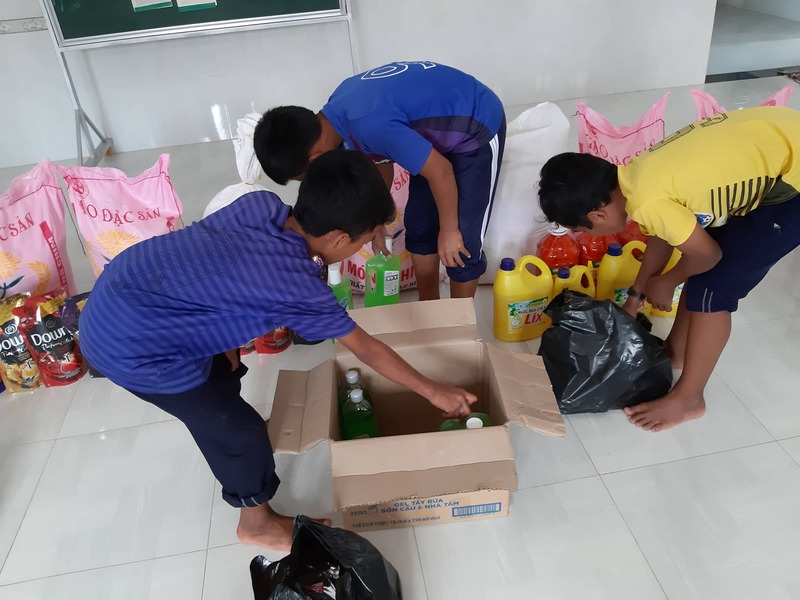 Located in the Suoi Dau district to the southwest of Nha Trang, the Suoi Dau Charity Home is a loving place that houses and cares for many of the community’s young boys whose families struggle to support and provide for them. 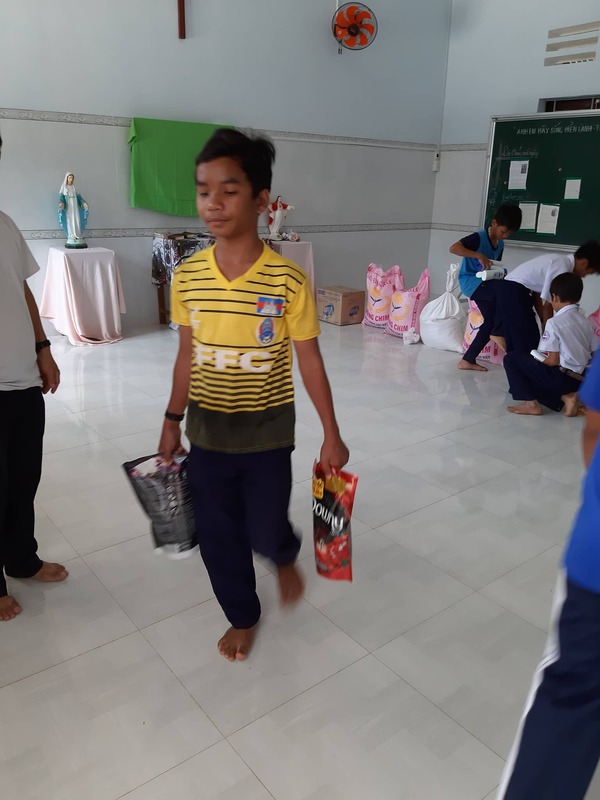 The children stay at the facility year-round, sleep in dormitories, and have meals together. 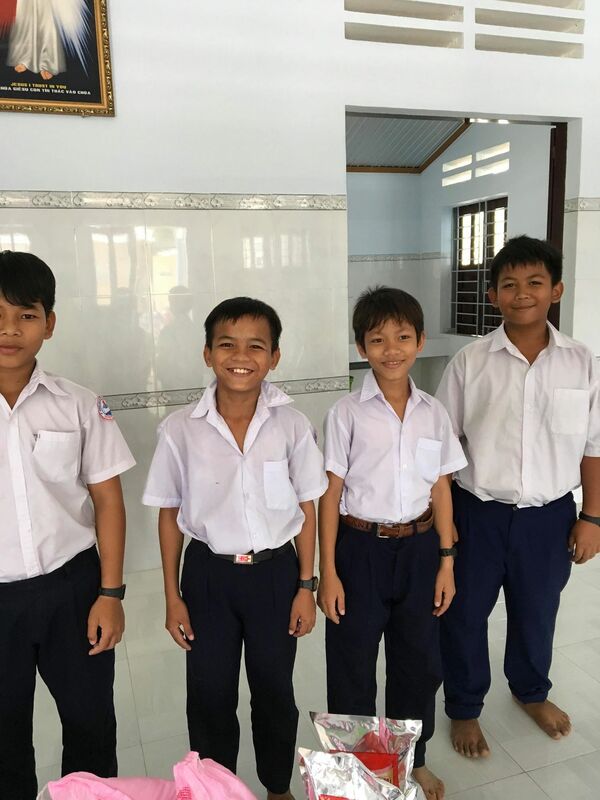 The caretakers provide a nurturing environment and ensure the children attend school, which is a core part of their mission. 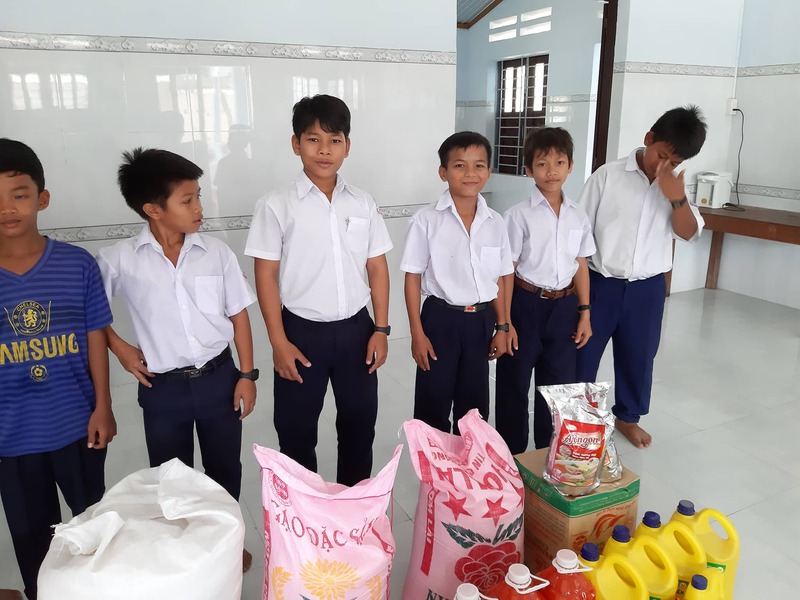 Without this home, these boys would likely follow the unfortunate pattern of many other children in this rural area and drop out of school at a young age. 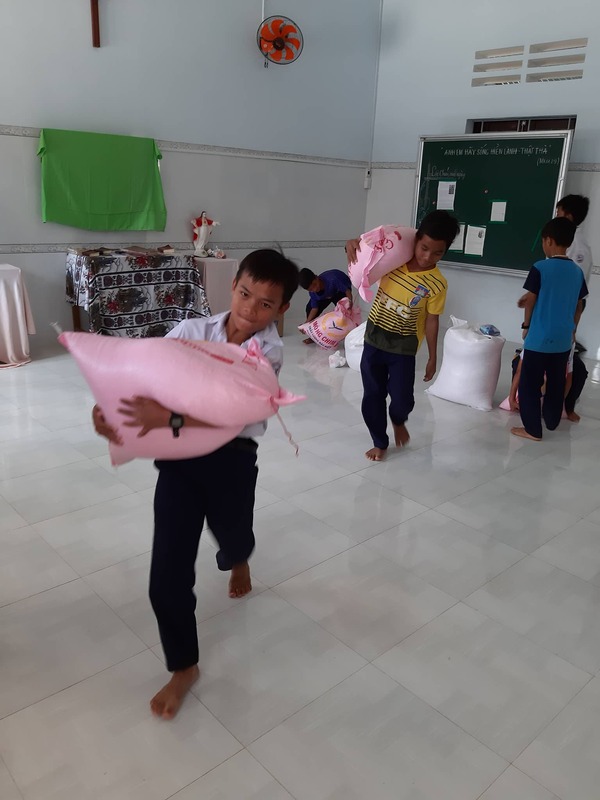 The amazing caretakers of this charity home ensure these children have a safe and nurturing place to grow up, receive an education, and break the cycle of poverty. 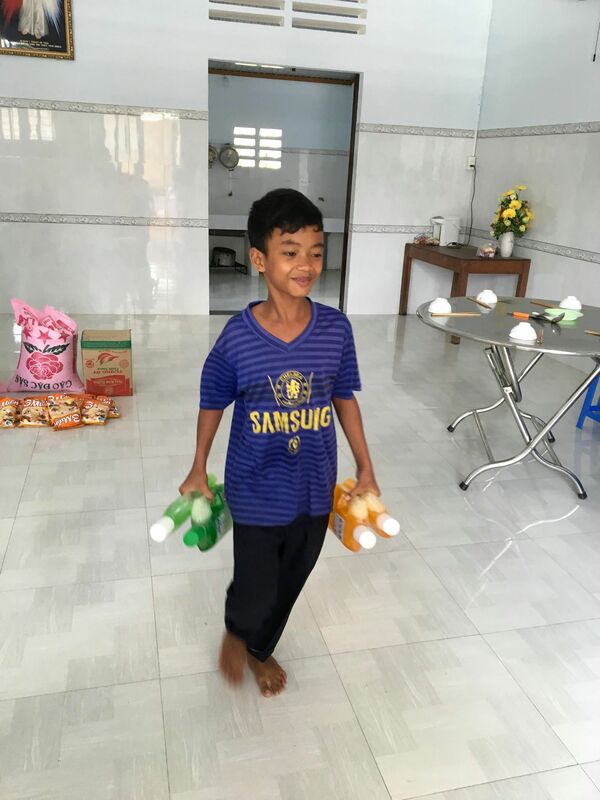 We contacted the Home to learn of their most pressing needs, then organized a visit. 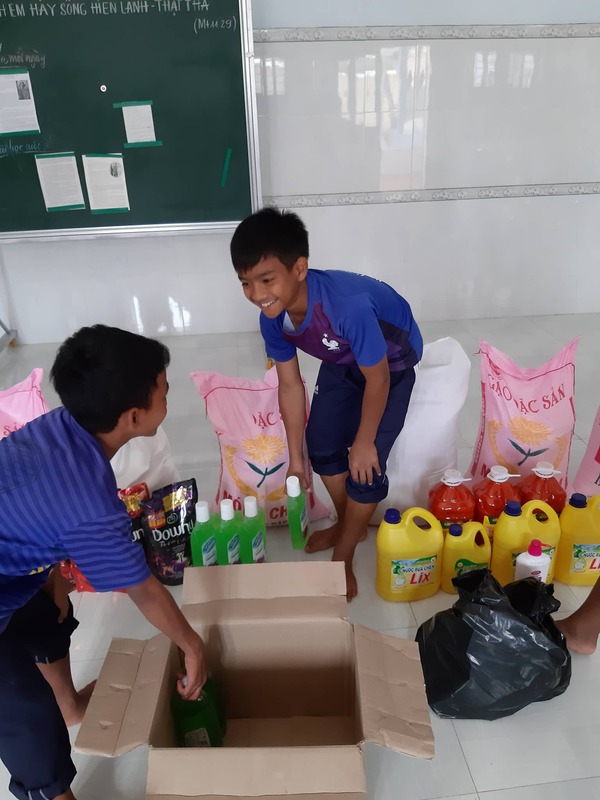 Our team brought bags of rice, seasonings, cooking oil, laundry supplies, soaps and shampoos, and cleaning supplies. 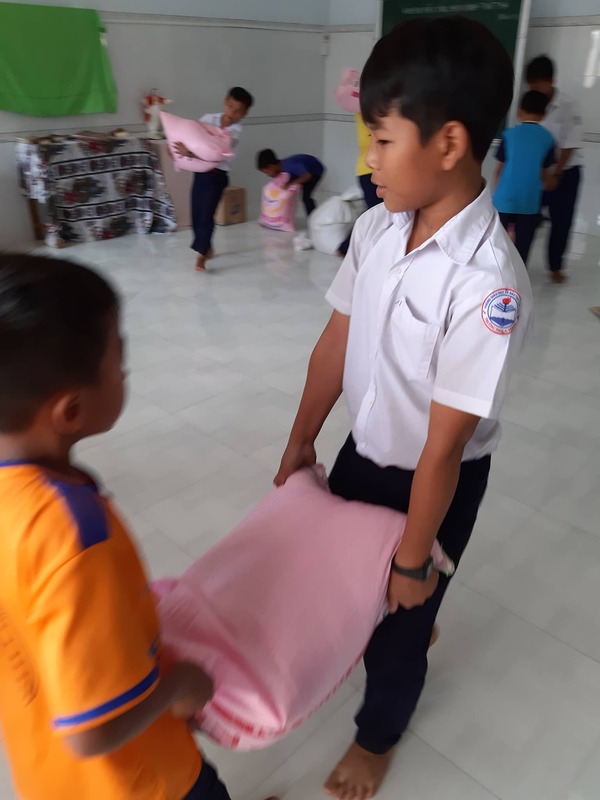 Some of the boys were still in their school uniforms, and everyone helped unpack the supplies in the common room. 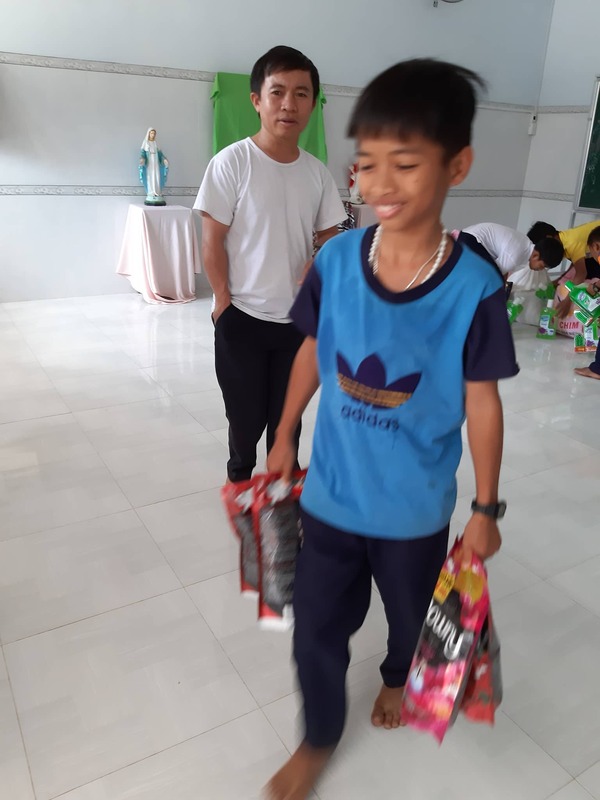 Then, with big smiles all the while, the children carried everything into the Home. 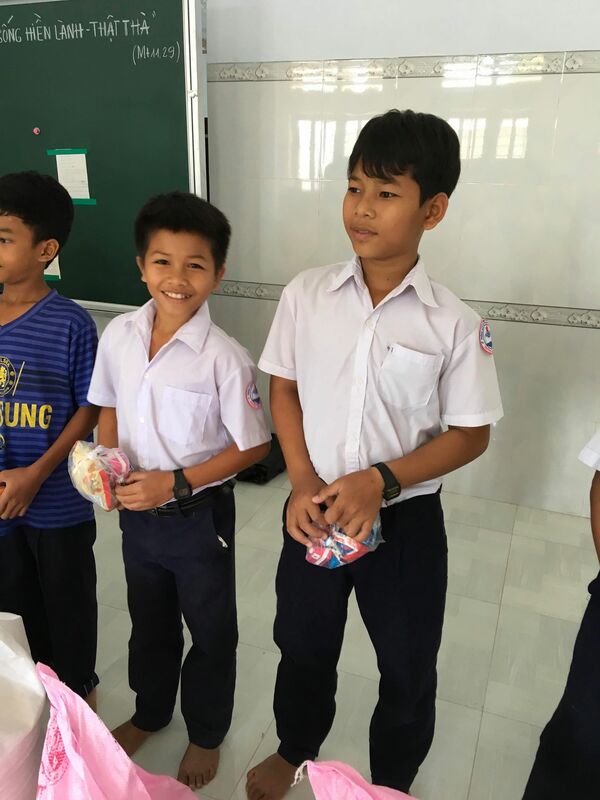 To see these children healthy and happy brings us such joy! 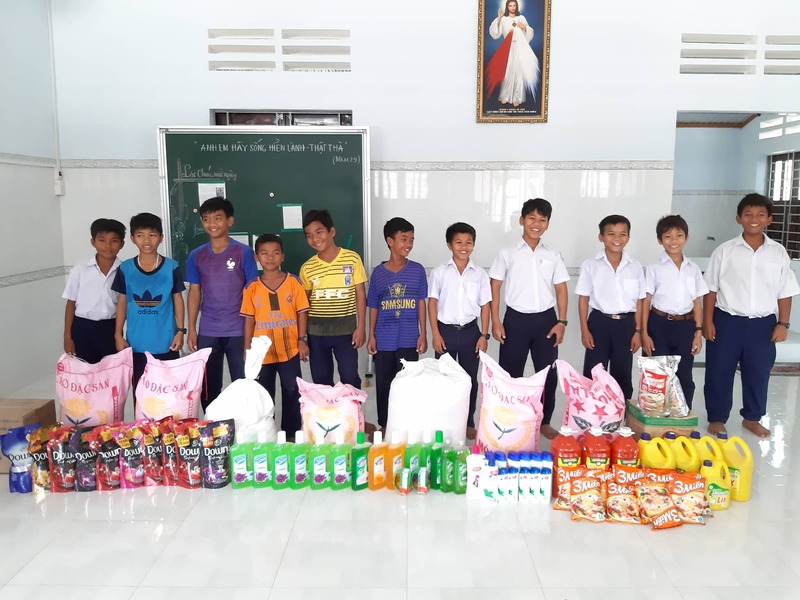 This charity visit was sponsored by the Lovingkindness Vietnam General Fund.